Winter is not my favorite season. Most of the things I like to do can’t be done on snow days. One thing I can do is go outside and look at the snow. Sunny days look great for doing this, but light cloud cover is better. Snow looks white because if reflects almost all of the light shining on it. After spending some time out looking at snow scenes on a sunny day, everything looks dark inside as the eyes try to recover from the onslaught of reflected light. Even sunglasses don’t help a lot. Moving water has no snow on it. Slow moving water can ice over. 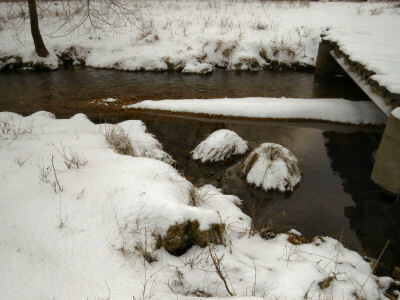 The creek has started a gravel bar under the bridge and snow sits on it. 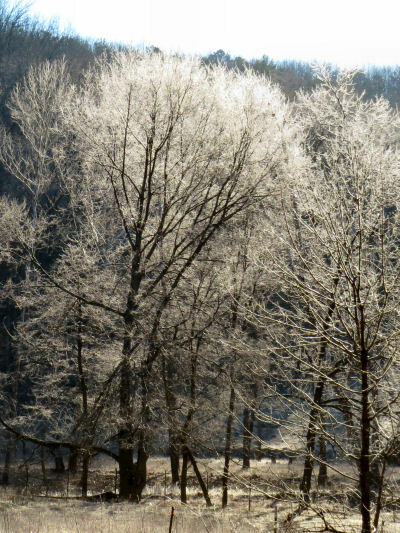 Snow may look inviting on a sunny day. It’s still cold. The snow is cold. The air is cold. The snow will melt onto the boots. I wandered down and out into the pasture below the barn lot. Snow days are pretty until the snow starts to melt and sinks into ice. This snow did fall in cold temperatures. 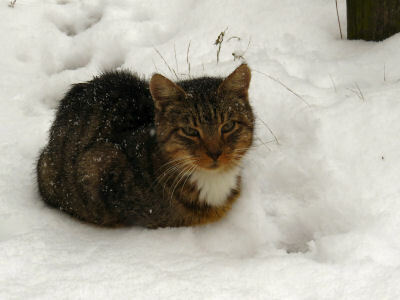 For a time the flakes were in clumps an inch or two across. Most of the time it fell as tiny ice spheres. These packed together into a heavy, dense snow layer. 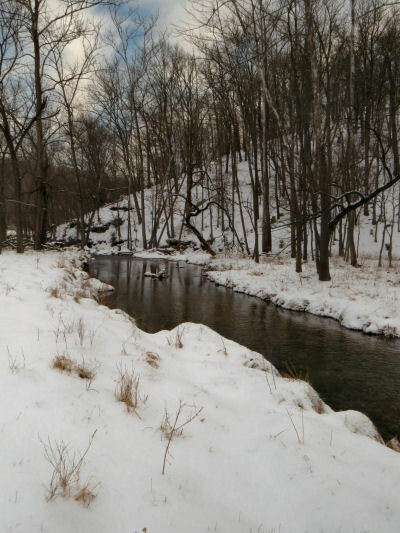 The creek is such a lovely place to go, except when the banks are covered with snow. Snow looks nice for a few hours. then it makes the place look cold and dreary. Footprints or tire tracks left ice. Sun melted the base layer into ice. 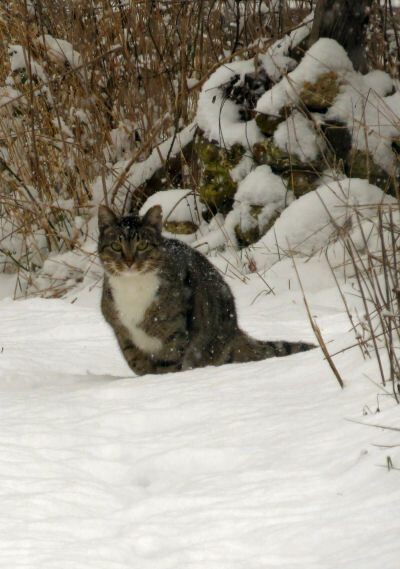 Town beckoned, but I stayed home and looked out the windows or tramped to the barn and looked at the snow. 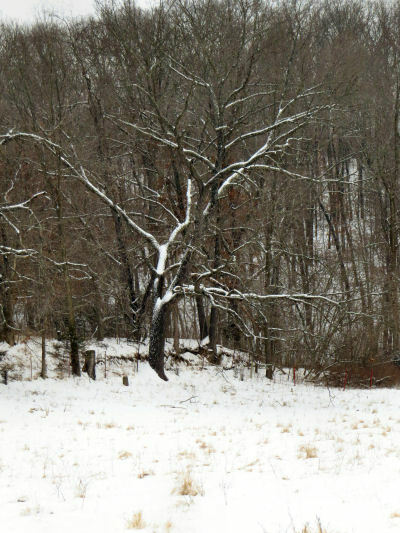 Snow does make bare winter trees look dramatic. Don’t stand underneath when the sun shines or the snow may drop onto you. It isn’t boredom. It’s a restless feeling leaving me casting about for something to hold my interest. What I really want to do is go outside and walk. The snow is waiting for me with pretty vistas. Trudging through snow in heavy boots ruins a walk while keeping the feet warm and dry. So I stay inside most of the time. And the snow days drag by. 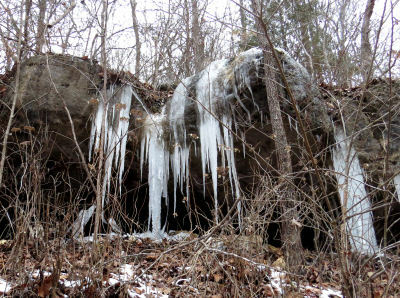 This entry was posted in Ozark Hills and tagged snow activities, winter in the Ozarks on February 19, 2019 by [email protected].